Image: Charley Gallay/Getty Images for Disney. 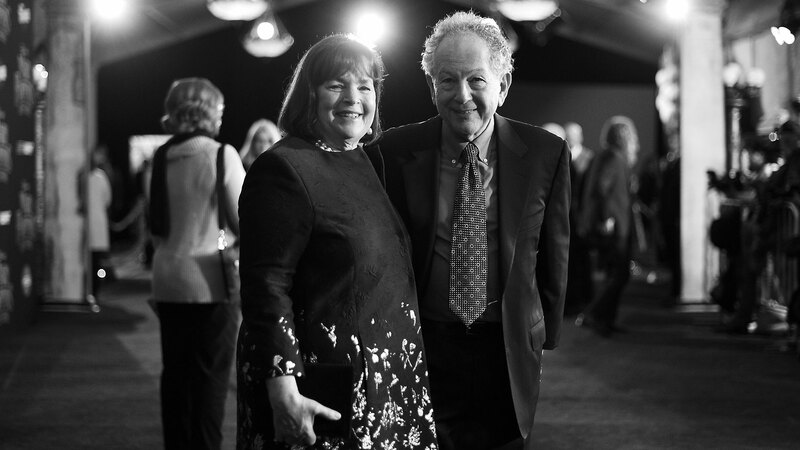 If there’s one truth, one constant in this crazy world, it’s that Ina and Jeffrey Garten are relationship goals. They’ll be celebrating their 50-year anniversary this weekend, and Ina marked the occasion by posting some very sweet throwback photos that reminded us (yet again) that she and her husband have been obsessed with each other since day one. Ina was 20 and Jeffrey was 22 when they tied the knot at her parents’ house in Connecticut on December 22, 1968. And it sounds like it was the most magical day for the irresistibly sweet couple — save for one minor mishap. “Right in the middle of the ceremony, it started to snow. It was beautiful and romantic, but by the end of the party, the poor guys parking cars had to dig everyone out!” Ina told People magazine. The couple’s love story began when Ina was just 15 years old and visiting her brother at Dartmouth College. Jeffrey saw her and was instantly enamored. Jeffrey wrote Ina a letter, slid in a photo of himself and sent it off to her home. “I just remember running through the house and going, ‘Mom, Mom, you’ve got to see this picture of this guy. He’s so cute!’” Ina told People. And it’s these love letters that have kept their relationship so strong 50 years later. Jeffrey may or may not send snail mail anymore, but he does send texts. “When we’re not together, I’ll send her five or six texts per day,” Jeffrey told People. We’ve learned a lot about relationships from the duo — from supporting each other’s passions and always making time for each other to not being afraid to celebrate your love in a very public way, as Ina demonstrated on her Instagram this week. “Instead of celebrating our 50th Anniversary (yikes!) just on the day (this coming Saturday), Jeffrey and I decided to celebrate it all week long! So I’m starting with a photograph of Jeffrey and me leaving our wedding for our honeymoon, tennis racquets in hand. It’s been an amazing 50 years!!! #loveofmylife,” Ina wrote on her first post. The next day, Ina posted a very ’70s pic of the couple from when they embarked on a four-month camping trip in Europe. Then there were the Washington, D.C. days, when we both worked in the government. We were very serious!! This is when I taught myself how to cook from Julia Child's books… the beginning of it all! In Ina’s latest photo, she addressed one of Jeffrey’s letters. In it, he wrote that he wanted to take her to Paris but he couldn’t afford it. Clearly, they made it! “Back when Jeffrey and I were dating, he wrote me a letter (which I still have!). He said he wanted to take me to Paris but maybe before we can afford to stay in a hotel, we’ll go camping; then later we could stay in a hotel; and maybe someday we could afford to have an apartment in Paris. Jeffrey, you’ve made all my dreams come true! #besthubbyever,” Ina wrote. You see that, Jeffrey? You aren’t the only one who writes love letters in this relationship. This morning, Ina shared a video that shows she’s not the one who does all the heavy lifting in the kitchen.